The pet care independent contractor agreement is a detailed agreement which is used to separate your IC's from Employees. Make sure you have one for IRS purposes. 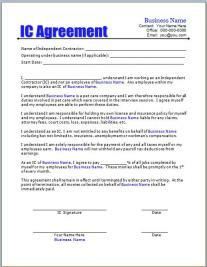 All IC's should have a signed agreement. Included in this agreement is payment information, insurance responsibility, job responsiblitites and more. If you want a form for them to sign which ensures your IC or employees do not steal your customers, click here.